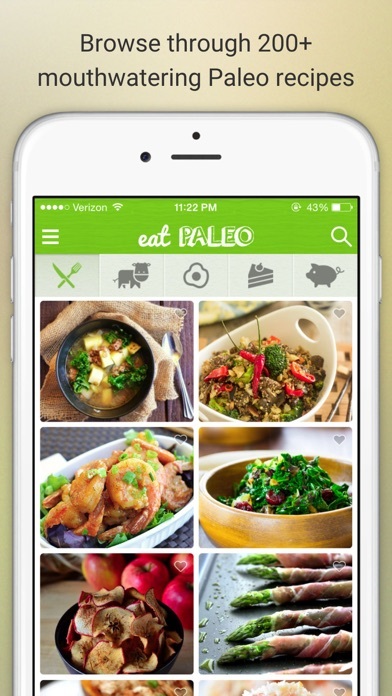 Eat Paleo contains 200+ mouthwatering Paleo recipes and images! Inspire your palate and enjoy clean eating, weight loss, increased energy, & better health. Browse recipes - eat with your eyes first Prep ingredients - create a free grocery shopping list Cook meals - access hundreds of recipes at your fingertips Feast Paleo - eat well to live well Our growing collection of delicious recipes focuses on the use of whole, unprocessed, nourishing foods. Return to eating habits of our ancestors (aka "the caveman diet"). 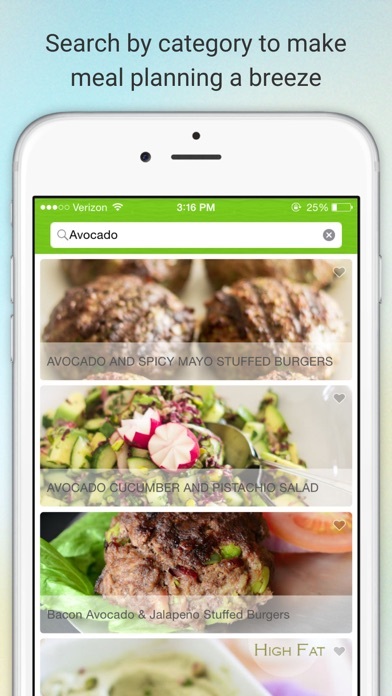 Our app makes it easy for you to find Paleo meals to cook for breakfast, lunch, or dinner. Appetizing dishes will tempt your taste buds! Browse through our categories to plan your next meal - beef, breakfast, poultry, salad, seafood, dessert and more! 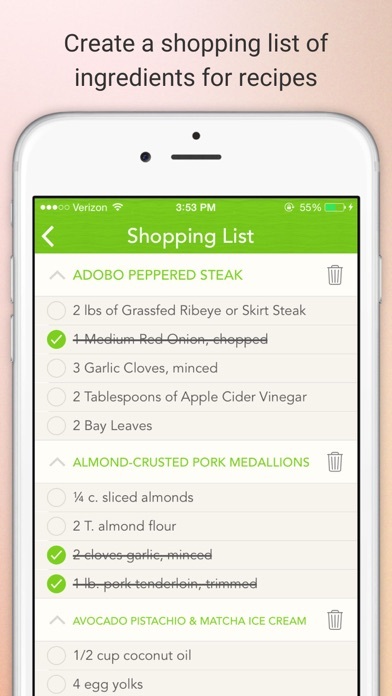 Easily search recipes, save your favorites meals & take the guesswork out of cooking. FEATURES: * Enjoy 200+ delicious Paleo recipes at your fingertips * Browse mouthwatering pictures, sure to make you salivate * Bookmark your favorite recipes for easy meal planning * Create a shopping list for your next grocery trip * Share recipes through Facebook, Twitter and Pinterest * Easy user-interface and engaging design * Available on both iPhone and iPad Why Paleo diet works? * Diet plan is based on commonly available food - cultivated plants and animal meat * High protein & fiber intake: Contains high amount os proteins & fibers with a less quantities of fat * See improved results in just 10 days * The recipes actually taste good * Doesn't starve you to death - the goal is to eat frequently without feeling hungry * No complications - very simple set of instructions to follow ------------------ BENEFITS OF EATING PALEO: * You will lose weight * Prevent high blood pressure & arthritis * You will eat a clean diet without additives, preservatives, or chemicals. If you have any questions about the app, please reach out to us at paleo@getentice.com. If there is a Paleo recipe you'd like to share with us, please send e-mail us and send it our way! I love the recipes that are in this app. Please add more! At first I was so excited to try some new PALEO recipes. I eat paleo because my life literally depends on avoiding toxic foods. These recipes have dairy (not paleo), grains (ditto) and therefore they defeat the purpose of using an app without having to modify every other ingredient. Thanks but no thanks. Love it at the beginning but recipes seem to not change and after a while they get old. So far we love the app and look forward to trying the recipes. Love this app. Easy and great recipes. Super easy and fun to use! 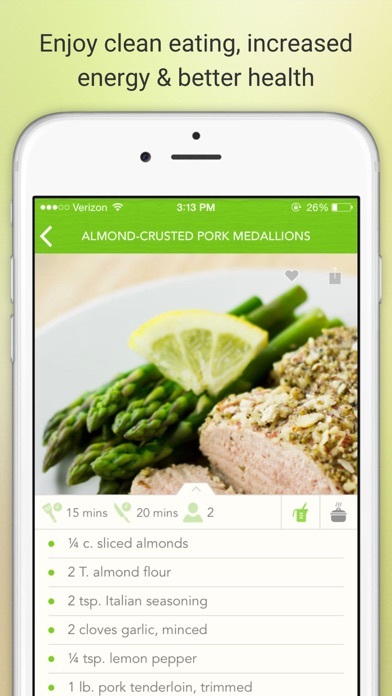 I love this app.... it has a variety of recipes to try... which is awesome because I just started the paleo journey!